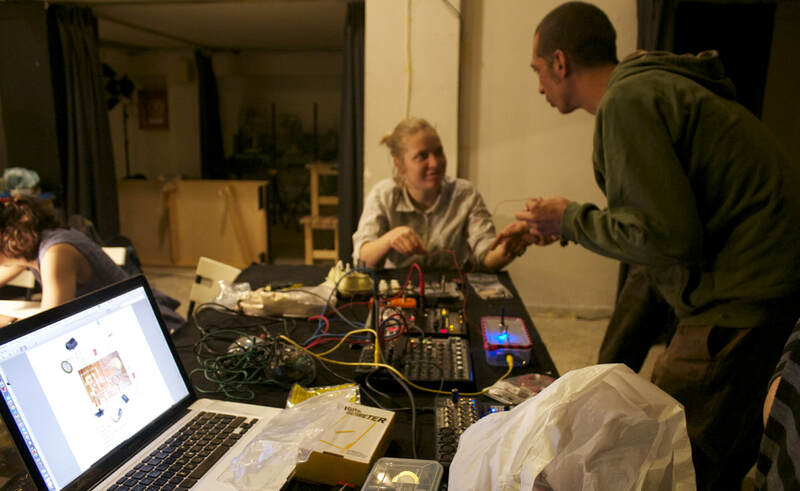 Maria F. Dolores & Hundin Atxe​ present "Noise as Drag"
​Influenced by Preciado's writings, Maria F Dolores (transnoise) & Hundin Atxe's project "noise as drag" explores the ways in which experimental technology processes can lead to a new understanding of our bodies. 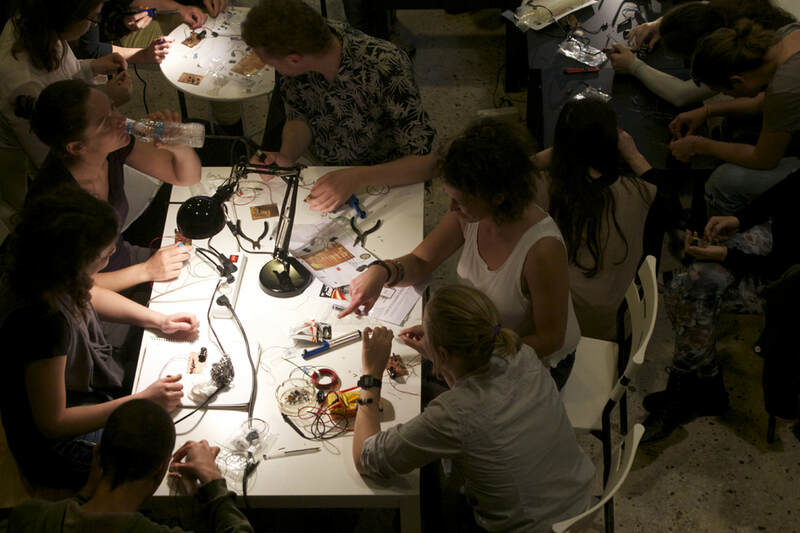 Bridging noise art, cyborg theory and transgender issues, they create experiences and workshops that expand notions of creativity and sound production. 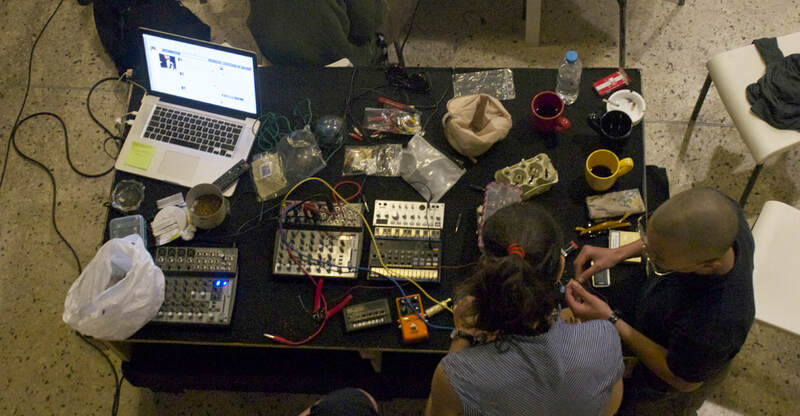 In Sound Acts, Maria and Hundin invited the audience for the creation of a self-managed nomad laboratory in which noise transforms into drag, in an attempt to achieve technological autonomy through a queer transfeminist glance. 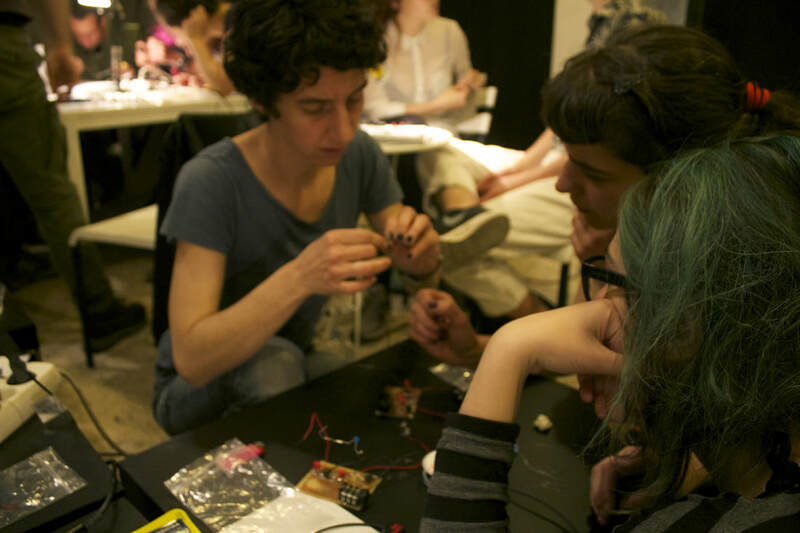 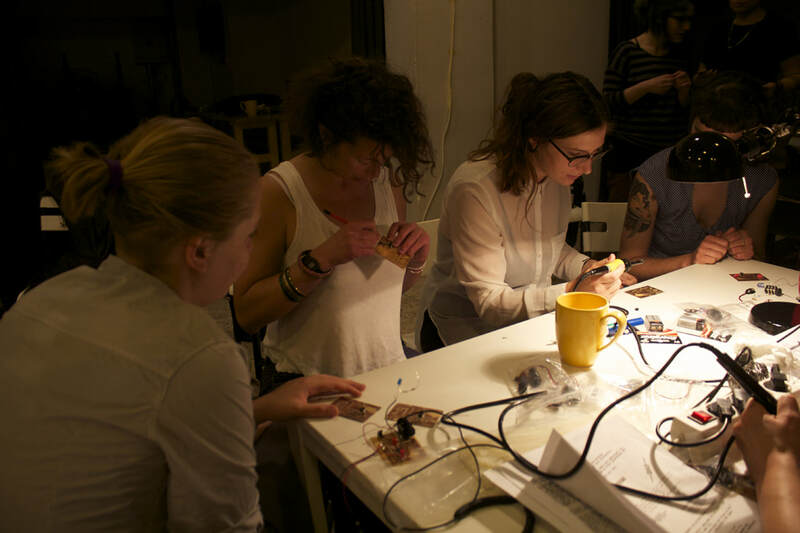 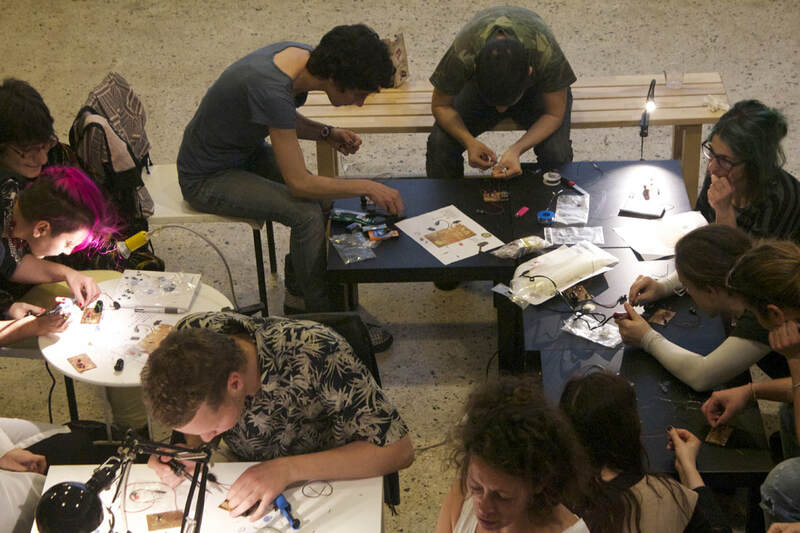 Participants had the chance to create their own DIY sound circuits to be further used in body sound art.